It may seem contrary to basic common sense, but adding staging furniture to an empty space can actually make a room look bigger. If you’ve got a property to sell, that’s an opportunity – and potential money in your pocket – that you shouldn’t overlook. I do a lot of professional staging jobs for clients who have a vacant property. 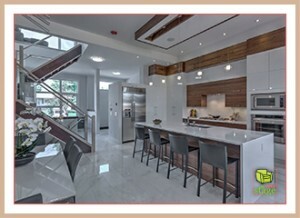 They understand the impact of looking like a motivated seller and of presenting the space to appeal to the ideal lifestyle of potential buyers who have a hard time visualizing what’s possible. After Staging: Look at this living room! We used earthtones to really compement the space. Using rugs in an all hardwood home makes the living area calm and peaceful looking. 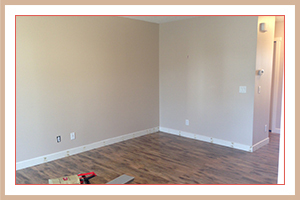 These before and after photos of a living room we staged in a Kings Heights, Airdrie home emphasize the point. Before staging, the empty room seems small and somewhat awkward. It leaves a sense of uncertainty in terms of how much furniture could fit (and how it could be arranged). After staging, the same room feels spacious, functional, and welcoming. There’s a context for a buyer to more easily imagine what it would feel like to live there. Based on the staged furniture arrangement, it’s easy for potential buyers to see where more furniture could be added to accommodate their individual needs. It also allows them to envision, by comparison to what’s there, how well their existing furniture will fit in the room. The furnished room feels bigger because of the visual reference points that create somewhat of an optical illusion which didn’t exist in the empty room. After Staging: We love using glass tables! Look at how open this dinning room is. 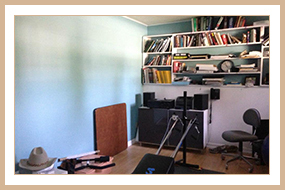 So in the end, adding furniture does make a room look bigger – IF it’s done properly. That’s the power of professional staging. Sometimes staging a property is mostly about creating a feeling of balance. 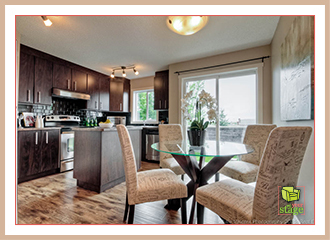 In modern construction, that means it’s important to add to comfort and liveability. Especially in a vacant modern property, this comfort can be achieved through staging with appropriate rental furniture and accessories. 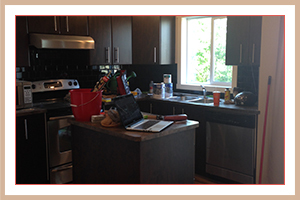 After: We used trendy accessories in this kitchen to reflect an active and healthy lifestyle. Modern, elegant, and luxurious, this new Banff Trail property designed by Blumer Homes that we staged in Calgary is the kind of home that people dream of. It is absolutely gorgeous! I mean jaw dropping! 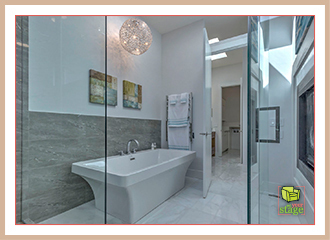 Marble, glass, clean lines, and open rooms with expansive space set the stage. But when potential buyers walk in, it’s important for them to also feel comfortable and welcome. This is what we kept in mind when making staging decisions for this vacant property, which required adding comfort through furniture and accessories so it didn’t read as ‘cold’ to potential buyers. After: Throw pillows and blankets not only add colour to the space but it gives it a welcoming feel. Our approach is reflected in the nubbly pillows, throw blankets, and area rugs. It’s in the textured linens on some of the chairs. It’s why we chose rounded vases and lamp bases and added the flowers and art work. The blues and grays that we weave throughout the staged rooms add a sense of calm and peacefulness that make a house feel like a home. After staging, this modern property feels like a home you can snuggle into at the end of a long day while celebrating its clean modern edge. In this way, potential buyers instinctively experience the property as if it was their dream home. They can feel what it would be like to live there. After: All this bath tub needs now is bubbles and wine! What a relaxing space. This feeling is the goal of a staged property. It delivers a much deeper impact than the intellectual act of noticing construction and design features (regardless of how amazing they are). 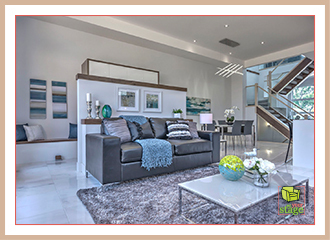 Add comfort through staging to create balance in a modern property for the best results. The challenge with a basement bedroom is keeping it from feeling dark and dreary. When you’re selling your home, you want to take full advantage and maximize the potential use of the entire space. 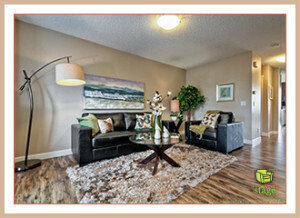 Make it feel light, bright, and useable with professional home staging. There’s nothing more creepy than walking into a dark and dingy basement with tiny windows and trying to imagine wanting to spend time down there (well, maybe unless you’re a teenager or cave dweller!). So when you’re selling your home, your job is to make the basement feel as welcoming and useable as possible for potential buyers. That job is intensified when you are trying to highlight an extra basement bedroom or possible granny suite set-up. After: This sophisticated, yet stylish bedroom is the perfect space for guests/teenagers. In this basement bedroom we staged in an Huntington Hills, Calgary, you’ll notice the one very small window across from the bed. That’s the only natural light this room receives. But do you feel like the room is small, dark, dingy, and unwelcoming? Hopefully not! That’s because we kept it feeling light, bright, and calm with our staging choices. We created a sea-inspired and Zen-feeling room by keeping this basement bedroom a relatively monotone space that includes minimal furniture, art, and accessory pieces. 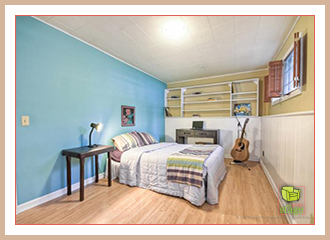 Potential buyers can easily imagine escaping to this quiet retreat at the end of the day for a restful night’s sleep. When staging a basement bedroom, or any room for that matter, understanding who your most likely potential buyers are and what they are hoping to use the space for is critical. Don’t leave your basement bedroom feeling like a dungeon. That’s not what modern buyers want to pay for. Want to stay in touch and read more of our home staging tips? Follow Set Your Stage on Twitter. It makes sense that a lot of people ask me about self storage rental in Calgary. After all, I’m a professional home stager who owns quite an inventory of staging furniture and accessories that need to be stored somewhere when not in use. Plus, I know that having self storage can make moving easier for both sellers and buyers who are in transition. What does a home stager’s inventory look like? Let’s say that, even after they declutter, I recommend to clients that they remove multiple furniture items and accessories in order to stage their home for sale in a way that will be most appealing for potential buyers. If they want to take those items to their next home instead of getting rid of them, it’s pretty inconvenient to store them with different family and friends. With so much already going on in the process of selling (plus the stress that people can experience), sometimes it’s just simpler to make a small investment in a self storage rental option that fits your short-term needs. And what about when the closing dates on your new and existing properties don’t coordinate exactly? What do you do with all your stuff when you’re “in-between” places? Depending on how far you’re moving, it can be expensive to pay for movers to make two separate trips (or to rent a truck and spend all that extra time to do it yourself). 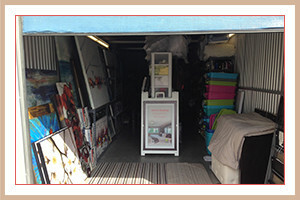 The simplest and most cost effective solution in that case may be a self storage rental. It’s definitely worth comparing options. Personally, I live in a condo. So there’s no way I could store all the staging rental furniture for my business at home. 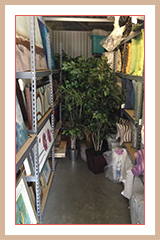 The solution that I depend on is Maple Leaf Self Storage on Sunridge where I rent a 10×30 storage unit for my staging accessories plus a 10×35 for rental furniture. And, since I bought more sofas to add to my staging rental furniture inventory recently, I’ll need even more space! 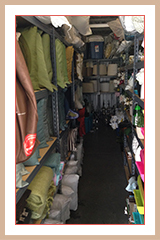 For me, having a reliable self storage rental gives me peace of mind and flexibility. It allows me to focus my energy on what’s important: my clients and doing my work efficiently. I rely on a range of suppliers to do my work as a professional home stager in Calgary. To find out more and see if your property could benefit from our range of home staging services, contact Jen at Set Your Stage. You are currently browsing the Set Your Stage weblog archives for September, 2015.